The reason why weight-watchers and fitness enthusiasts all around prefer eating daliya is because it is extremely low in calories. If you are a health conscious person, then you must have heard about the many benefits of eating daliya (or bulgar) from improving digestion to managing diabetes and boosting energy. But did you know that daliya is also good for shedding that extra weight? Yes, that's right! According to USDA, 100 grams of bulgar wheat (daliya) has 357 calories, 7.14 grams of protein, 11.9 grams of fibre and 1.55 grams of fat. Dalia is a super-hit breakfast option in the sub-continent of India. Since time immemorial, daliya and its healthy properties have found many fans in-and-beyond the fitness circuit. An extremely versatile ingredient, you may replace rice with daliya in your dishes to cut bad carbs and add more protein, fibre and good carbs. You can prepare it with vegetables, tossed in oil; better still, have it in form of porridge cooked either in milk and water topped with berries or nuts. 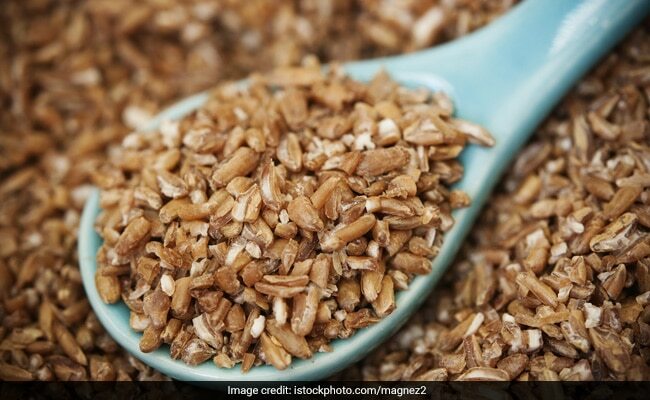 According to Health Practitioner and Macrobiotic nutritionist Shilpa Arora, "Daliya is high on fibre, protein and B vitamins, all of which play a crucial role in weight loss. Daliya makes for a great option for those on a weight reduction diet. You can spruce it up by adding lovely and nutrient dense veggies like carrot, peas, tomato and capsicum. This would help you keep satiated for long. One could also add nuts and seeds to the porridge which can also help nourish the skin in addition to aiding weight loss." The reason why weight-watchers and fitness enthusiasts all around prefer eating daliya is because it is extremely low in calories. As per the USDA nutrition data, one cup of cooked daliya has 150 calories, which is very less, thereby facilitating weight loss. And not just low in calories, daliya is packed with fibre too. Fibre adds bulk to the stool, thereby aiding bowel regularity. Good digestion is key to effective weight loss. In addition to this, fibre also fills you up. It takes the longest to digest and induces feeling of satiety, which prevents you from bingeing into other high fattening foods. A regular to medium portion of daliya would help keep you full till lunch. Moreover, daliya makes for an excellent source of protein. Protein takes long to digest, boosts metabolism and activates weight regulating hormones. A higher protein intake actually increases levels of the satiety (appetite-reducing hormones), while reducing your levels of the hunger hormone ghrelin.